You don’t need to produce your own videos to find customers on YouTube. Instead, try promoting your business in millions of other people’s videos with YouTube’s in-video and in-stream advertising. YouTube boasts over two billion daily video streams and a hundred million unique monthly users in the U.S. alone. It also offers the ability to narrow the options and target viewers using ad demographics, geography, language, interest categories, keywords and video-content categories. And you can target ads to individual videos and channels if you know exactly what your potential customers are watching. There's variety on how you pay too. 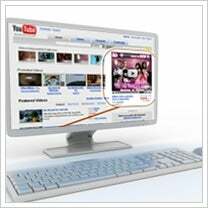 YouTube charges advertisers on a cost-per-thousand, or CPM, basis, or a cost-per-click basis. Some video ads can also be purchased on a cost-per-view basis. No matter how you pay, to get the most bang for your buck consider these three basic options for placing your advertising inside the YouTube videos themselves. These banner-style graphics or text-based ads that run during a YouTube video appear when the video begins to play. When clicked, the ads can point to your own videos or an external URL. How to optimize? Use in-video ads in conjunction with identical online display ads and search engine ads to maximize impressions as your customers surf related sites on the web. In-Stream Ads are short video ads that run before, during or after a YouTube video. The in-stream ads can’t be longer than 15 seconds for short form videos that clock in at less than 10 minutes or longer than 30 seconds for long form videos, which are more than 10 minutes long, so prepare a short and concise message with a clear call-to-action. How to optimize? If you don’t have your own video production budget to produce a video ad, use a service such as Spot Mixer www.spotmixer.com to build a video ad from a template. In-Stream ads can be show up before a video runs on mobile devices through the YouTube 2.0 Android App for mobile Partner watch pages. Or, if your small-screen budget is big, you can place a so-called 1-Day Mobile Roadblock to reach customers on iPhones, Androids, Windows phones and Blackberrys. A roadblock buys all available ad impressions on m.youtube.com for an entire day and has the potential to reach over 7 million viewers in a single 24 hour period. How to optimize? When advertising on mobile devices, make sure that your in-stream ads link to a website that is optimized for mobile devices. Have you tried advertising in YouTube videos? Tell us about your optimizing tip below.